Anne Battell and her husband Shawn, co-owners of Niagara Hearing Solutions Inc., host a warm and friendly atmosphere at their 5501 Drummond Road location. This family-run practice takes pride in providing superior care and service to their patients and has continued to grow with the needs of the community. Why Choose Niagara Hearing Solutions? 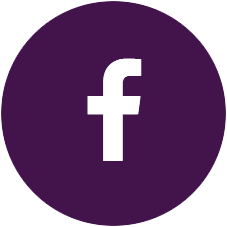 It’s simple; we are privately owned and are highly customer focused. We can be flexible and adaptive to our clients’ needs and provide our loyal clients with the service they deserve. 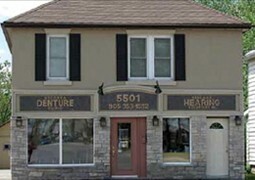 Niagara Hearing Solutions provides hearing aids sales and services for all brands. In addition to hearing instrument practitioners, we also have licensed denturists on staff. We are proud members of the Hearing Instrument Practitioners Association of Ontario. Over the years, technological advances have been made to improve the quality of hearing aids, which in most cases cures the problems associated with whistling and supports improved hearing in background noise. Anne likes to pay close attention to every detail while fitting hearing aids which enables a more efficient process at a more reasonable price for their clients. What is important to us at Niagara Hearing Solutions is that the client is given treatment options and is involved in the process to better meet their needs. Interest in invisible hearing solutions is growing. The Lyric hearing aid fulfills the invisible effortless concept that clients are looking for. What makes Lyric special is that you can achieve better hearing for up to four months without having to worry or even think about it. No need to replace batteries, no cleaning, or removal of the hearing aid on a daily basis, and more natural feeling sound – all this with a comfortable secure fit. Schedule a consultation today, to find out more. 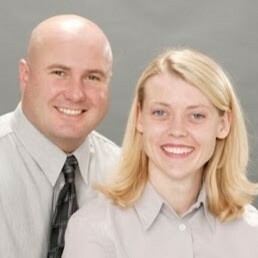 Shawn and Anne always keep the overall health of their clients in mind when providing hearing health care. A well-chosen hearing aid will give the wearer the ability to hear better and to join in on life. Hearing aids should not normally be worn for more than five years without being refitted or replaced because fit and function may be compromised. Hearing aids should not whistle, cause continual irritation or soreness but should fit comfortably. To avoid hearing related problems have your hearing and hearing aid assessed during annual recall examinations. At Niagara Hearing Solutions, a complimentary consultation is offered where the patient meets with Anne, completes a hearing test so treatment needs and options can be assessed and discussed. New patients are always welcome and no referral is ever necessary. Simply call 905-353-1552 to book an appointment for a convenient time during the office hours from Monday to Thursday 9:00 a.m.-5:00 p.m., or Friday mornings. Whatever your hearing care needs, you’ll get the quality you expect from Niagara Hearing Solutions Inc.